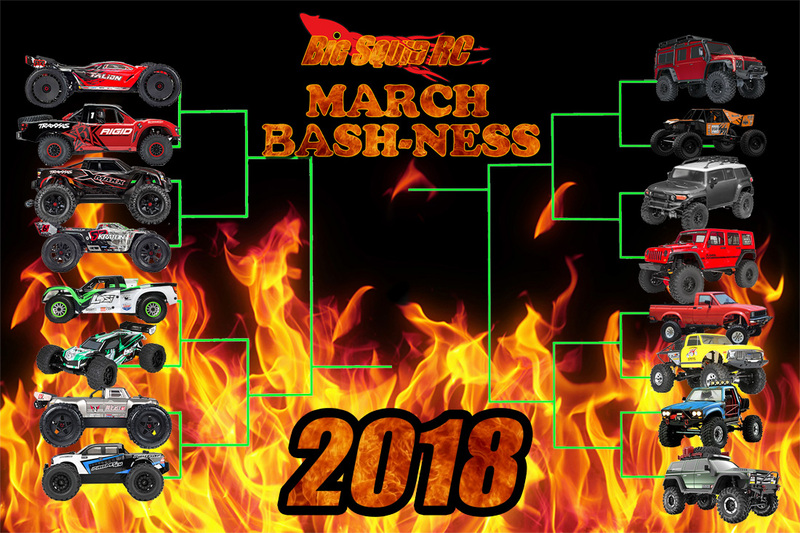 March Bash-ness 2018 Round 2 – With a Twist « Big Squid RC – RC Car and Truck News, Reviews, Videos, and More! Welcome to Round 2 of the March Bash-ness 2018 brackets! We warned you that we had planned a twist, and as you can see it’s a good one! We took all the winners from the sweet 16 bracket in round one, and put them on the left side. On the right side, we have added 8 scale/crawler vehicles! 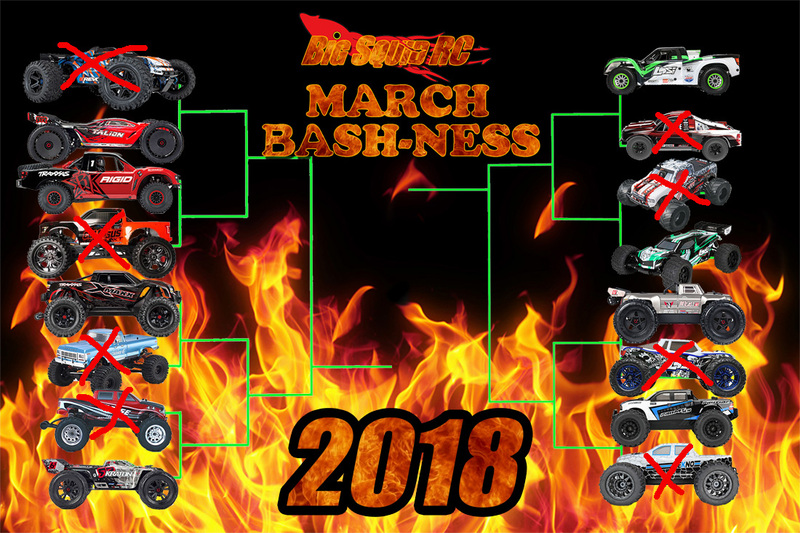 We had a LOT of great crawlers being submitted into the bracket this year, and there was just no way to fit them with all the incredible bash vehicles also on the list. So here is how it’s going to go.. everyone keeps voting like normal, and we are going to have a bash vehicle winner and a crawler winner. Then you guessed it, they are going to go head to head! Voting rounds are short, so you have till Friday March 23rd at 10pm CST to get your votes in for this round! As always, we WILL ban you if we catch you stuffing the ballot box. Please don’t make us do that.